Tracers is a feminist art collective that promotes intersectional feminism and all forms of human equality. The Feminist Parking Lots were set up as a way to interact with the community and disseminate information surrounding feminism and craft practices. 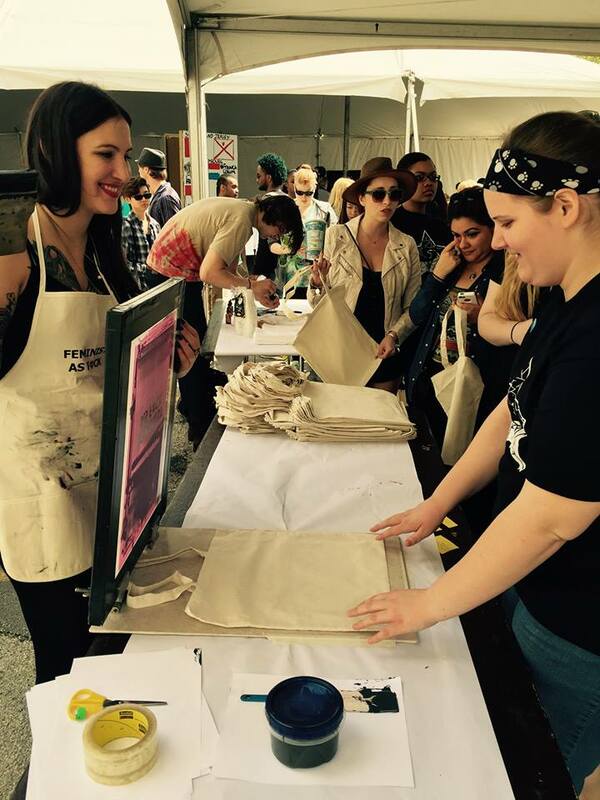 Usually around ten artists taught their craft, ranging from screen printing to doll making, zines, nail art, and tie dye. In addition to making crafts, there was a discussion aspect at event, occasionally a formal panel, but more often an open and free form conversation amongst all participants.